In the purported clip, Hizb commander Riyaz Naikoo tells another terrorist of the outfit, Sameer Tiger, that they should not threaten or kill anyone contesting the polls but pour "strong acid -- Sulphuric Acid or Hydrochloric acid" into the their eyes. 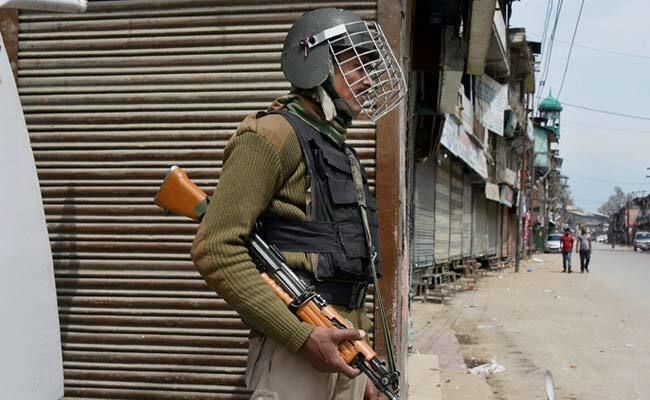 Srinagar: An audio clip of a purported conversation between two Hizbul Mujahideen terrorists in which a commander of the outfit tells his cadres to pour acid into the eyes of those who contest the upcoming panchayat elections in Kashmir has gone viral. "Over the past 28 years, we have been threatening and killing the candidates but it has not deterred them. Normally, those people stand for elections who are considered useless by their families. They (families) want to get them (candidates) killed so that they get Rs 5 lakh ex-gratia and job on compassionate grounds," Mr Naikoo is heard saying in the audio clip. He says in the clip that instead of helping these people get rid of their unwanted family members, "this (pouring acid) will ensure that they (victims) become a burden on them". The state government last month announced that panchayat elections will be held from February 15 this year. Opposition National Conference leader Omar Abdullah said that earlier people were blinded by pellet guns, now they are being threatened with blinding by acid. "If it isn't pellets, it's acid. One way or the other people are threatened with being blinded," Omar tweeted.